This gentle formula with shea butter, is fragrance-free and suitable for dry, sensitive skin across all ages. 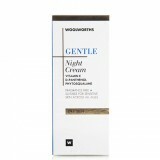 Price: R190 Availability: Selected Woolworths stores nationwide and www.woolworths.co.za. Apply this gentle day cream, with SPF20, every morning for daily sun protection and for nourishing and moisturising coverage. 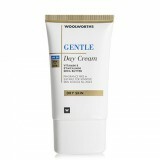 Price: R180 Availability: Selected Woolworths stores nationwide and www.woolworths.co.za.